With the 2016-2017 season being a few months away, most NBA fans are tearing out their hair while waiting in anticipation. Sadly, we cannot speed up time! But in the meantime, why not try out some new hobbies that will keep you entertained until the new season starts? They do say that times flies when you are having fun! 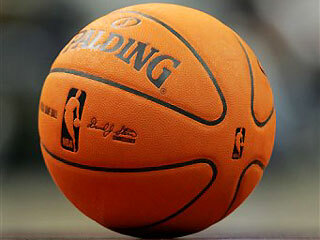 We have hand-picked five specific hobbies that you, as a Basketball fanatic, are sure to like. While basketball is the sport you love, first and foremost, chances are that you are the type of person who likes some other types of competitive sports too. Sports betting is a great way to channel your competitive nature and love for sports into an activity that could potentially win you some money too! Online betting offers make it easier than ever to place bets over the internet, without having to make a trip to a bookkeeper in person. With the 2016 Olympic Games in Rio now in full swing, there are a plethora of sporting events for you to follow. Have a look at the Olympics schedule, and choose some sports you would be interested in watching. And yes, of course there is Basketball too! In season downtime, a good thing to do is find some autobiographical books written by the basketball players you admire the most. It can be both interesting and inspiring to get an inside peek into their lives, and learn the story behind the man. If you have not already, start with Celtics legend, Larry Bird’s autobiography Drive: The Story of my life. It may not be a newly released book, but it is a superb read and a must for any Celtics fan. If you do not have new NBA matches scheduled to watch, why not play yourself? With the sun out shining still, it is perfect weather to organize a weekend pickup game with your best buddies. End of the day with a nice outdoor BBQ and you will be having so much fun that you will hardly realize how much you are missing your usual NBA fix. Another great hobby to get into is playing some basketball themed console games on your Xbox or PlayStation. There are various NCAA and NBA games for you to choose from. Generally, the graphics are pretty good and so is the gameplay. These games make you feel like you are actually a professional basketball player yourself, which is pretty cool. So there you have it, five alternative hobbies to try while you wait out the next few months before the 2016-2017 season which will start in October. Between all of these top notch suggestions you are bound to be more than entertained. Who knows, maybe you will like one of these hobbies so much that it will become a regular feature in your life in the future!